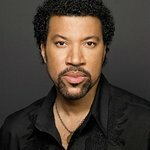 Lionel Richie will perform at the second annual Diamond Ball, a black tie fundraising event benefitting Rihanna's Clara Lionel Foundation (CLF) and presented by Samsung. Taking place on December 10th at the Barker Hangar in Santa Monica, California, Kevin Hart will serve as host for the unforgettable evening. Founded in 2012 by Rihanna in honor of her grandparents, Clara and Lionel Brathwaite, CLF works to improve the quality of life for communities globally in the areas of health, education, arts, and culture. "I’m so proud of the work the Clara Lionel Foundation has done in its first year and can’t wait to celebrate with the iconic Lionel Richie and incredibly talented Kevin Hart at this year’s Diamond Ball," said Rihanna. During the 2nd Annual Diamond Ball, Rihanna will present Michael Rapino, CEO of Live Nation, with the inaugural Diamond Honors Award. Under Mr. Rapino’s leadership, commitment to service has become a hallmark of Live Nation. The company and its subsidiaries including Ticketmaster have supported the philanthropic efforts of countless Live Nation artists including (RED), From One Hand to AnOTHER, The Pies Delscazos Foundation and The Shawn Carter Foundation as well as local charities throughout the 40 US markets where it has operations. Mr. Rapino has ensured that he serves his 20,000 employees when in need through the establishment of a Live Nation fund called Taking Care of Our Own which provides financial support and resources to employees facing personal adversity. In addition, Mr. Rapino and his wife Jolene are the founders of The Rapino Foundation, an international development and relief organization with a focus on the world’s most vulnerable populations such as women and children in the developing world. The Diamond Honors Award will be presented each year to a recipient who, like Mr. Rapino, has demonstrated true leadership in the fields of philanthropy and entertainment and whose work furthers CLF’s mission of improving the quality of life for communities globally in the areas of health, education, arts, and culture. Last year’s inaugural Diamond Ball was hosted by Jimmy Kimmel and featured an electrifying performance by Rihanna. In addition to special guest Brad Pitt, other celebrity attendees included Salma Hayek, Ellen Pompeo, Kim Kardashian, Kris Jenner, Big Sean, Ne-Yo, Fabulous and others who all came to show their support for the Clara Lionel Foundation. The event raised over $2 million – funds that were used to purchase two new state-of-the-art pieces of equipment for the Clara Braithwaite Center for Oncology and Nuclear Medicine at Queen Elizabeth Hospital (QEH) in Barbados. The most significant addition was a cutting edge brachytherapy system, the first of its kind in North America and one of only three in the world. With this addition, the center is now one of the most modern in the Caribbean with neighboring islands/hospitals referring patients to the Clara Braithwaite Center for Oncology and Nuclear Medicine. In addition to the Clara Braithwaite Center for Oncology and Nuclear Medicine, other current programs include the Barbados Micro Grants for Schools Program as well as the Clara Lionel Foundation Global Scholarship Program which will be formerly launched during the Diamond Ball. This exciting new program will award full scholarships to youth globally giving them the opportunity to receive an education anywhere in the United States. Paddle8, the auction house for 21st-century collectors, will serve as the auction partner for the event, with Paddle8 co-founder, Alexander Gilkes, leading the live auction. Highlights include a guitar signed by Bono and an original piece by Jeff Koons among many others. These items will be available online in the weeks leading up to the live auction via Paddle8.com/clf, beginning on November 25th. Samsung is the event’s presenting sponsor, with other sponsors including Live Nation and Puma. For table and ticket information, please contact Towalame Austin at info@claralionelfoundation.org or 310-975-6878.